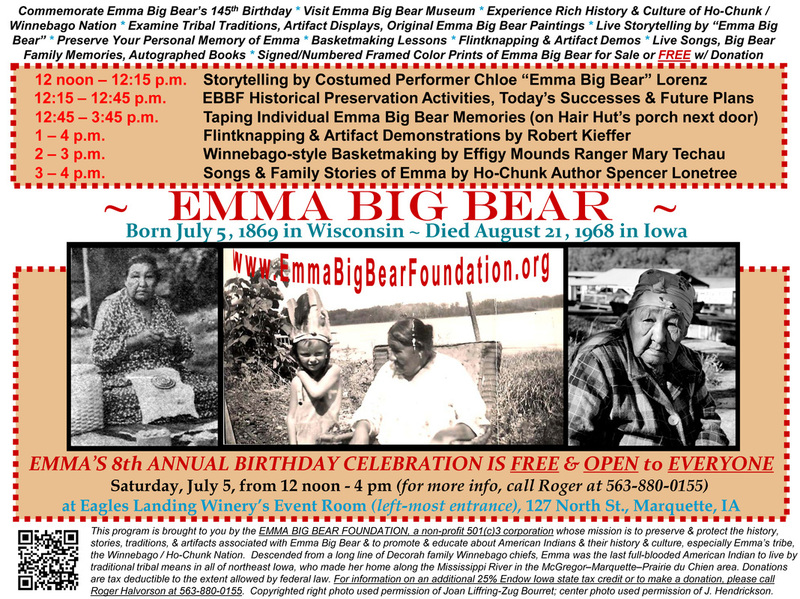 NOTE: Our annual event is always FREE & everyone is welcome to attend! Also, our Exhibit Hall opens 1 hr. earlier this year at 10 AM so you may arrive early & find a parking spot in downtown Marquette before it closes off the streets for 11 AM to 12 Noon parade. Tour air-conditioned Exhibit Hall & find your seat for 11 AM speakers to start. 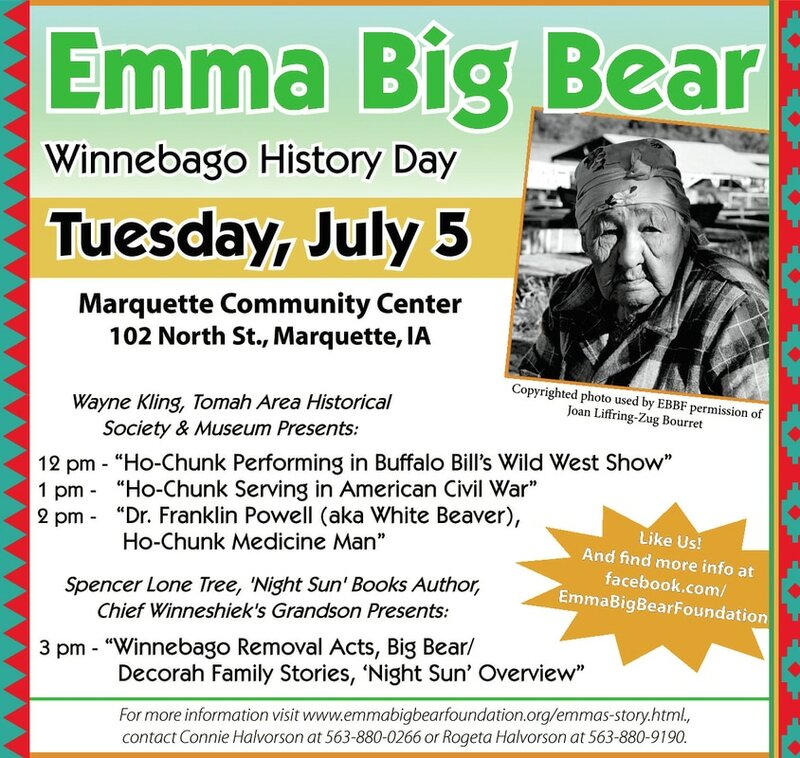 Program Theme: "Big Bear & Winnebago History Day"